To get everyone in the mood for THE AMAZING SPIDER-MAN, he's an action-packed (so much action they had to cram three scenes on the screen at once) trail for the late seventies live-action SPIDER-MAN TV show. Here in the UK, it formed the basis of Spidey's first faux theatrical trilogy before getting a belated TV outing. 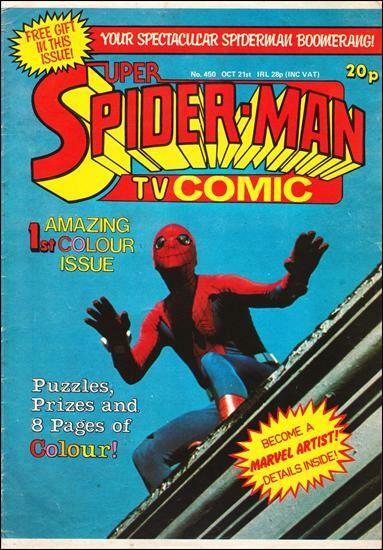 The British Spider-man comic changed its name to SUPER SPIDER-MAN TV COMIC (and brought back glossy covers) to coincide with the TV show's UK premiere on ITV from October 1981.